Working with clients and developing a continuing creative relationship with them is at the core of our business. From animation to design work, our talented and friendly staff has developed an array of digital solutions for a variety of industries. We help the people we work with by assisting them in thinking of what goals and milestones they have for a particular project and how different facets of design will help their brand in the short and long term. If you’ve seen something you like on our site and want to get in touch with us, or if you’re an artist, producer, or business needing creative guidance for a project that’s already in motion, feel free to send us a note. We’re interested in helping you achieve your creative goals, no matter what the creative solutions are! Please briefly describe how you heard about us! We’ve found that some of our greatest achievements have occurred through our associative work with other professionals and specialized firms. Collaboration is our passion and it’s what we strongly believe in. In fact, that’s how our core team began working with each other. Are you a video production studio or marketing agency and see a service on this site that you would like to provide for your clients? We can supplement and complement your core services. Would you or your agency like to form a strategic partnership with our studio? Send us a note and let us know you’re thoughts. We’re always open to new opportunities and collaborative relationships! At what frequency would you like to comission these services? Please briefly describe your establishment to us! Please describe your interest in our services. Having the opportunity to collaborate with a talented and friendly team on a daily basis is part of what makes work so enjoyable for us! We’re constantly learning and growing with each other, and we’re always looking to add specialized talents to our team who are just as skilled technically as they are creatively. If you enjoy our unique design aesthetic and are interested in being a part of our team, please send a note and tell us why we need to hire you! We’ll look over your portfolio sample, resume, references, software competencies, and personal production pipeline. But be careful what you ask for…we might just put you to work! 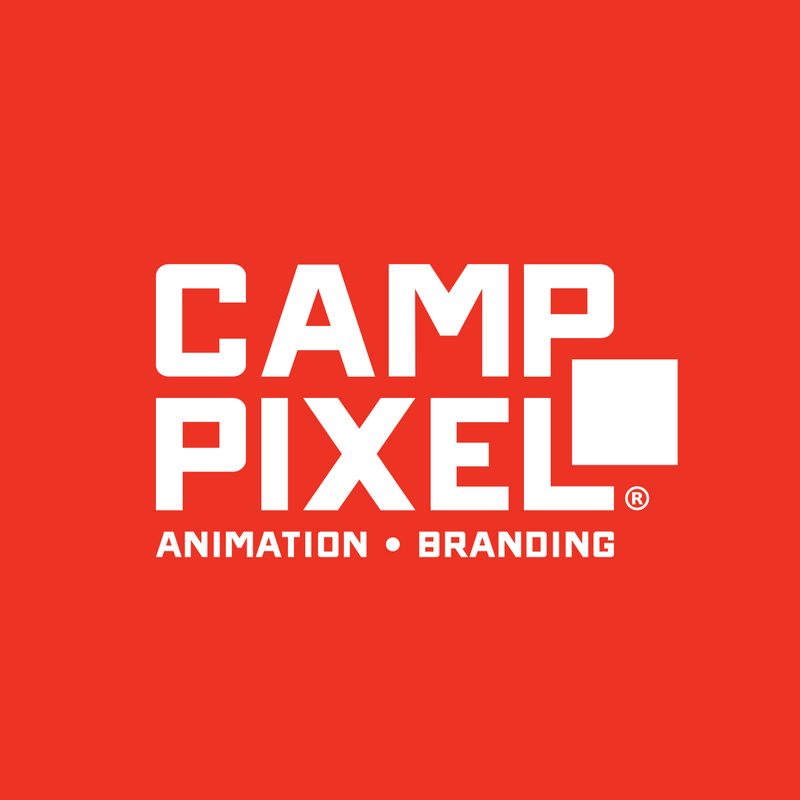 Please define your skillsets and provide a brief summary explaining your interest in working at Camp Pixel. We’re glad you stopped by! If you’re still interested in learning more about us, below are a variety of ways for you to follow the Camp Pixel team!